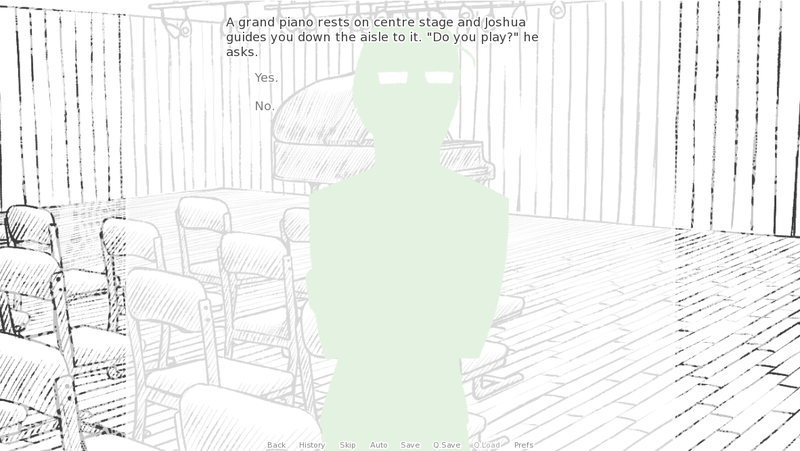 If you have played the Patriah demo, you should already be familiar with Bachelor #1, Joshua. 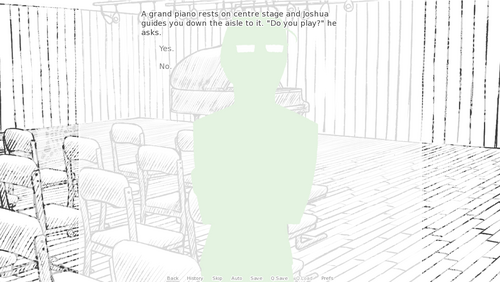 Joshua is a combination of a couple of dating sim tropes, as he is both the Glasses Guy and the Rich Kid. Joshua's family is very well off, and happens to be a part of the Birth Management System that manages eligible women and their care. Did this connection get him a leg up to be one of your bachelors? Probably not, says Joshua. He believes in the fairness of the system and the lottery. Joshua is an example of someone at the center of a powerful institution that wants to keep him out of trouble. He is the Harvey Weinstein and Max Landis of an even more dramatic patriarchal system. Joshua will only act on his lust for Patriah when it is safe for him to leverage that power, after she's stepped out of line. You can play his route now in the Patriah demo! Something that will be in the full version of the game that isn't there now is Joshua's interaction with the other Bachelors. When Patriah spends time with her other potential suitors, Joshua will become desperate. If you're curious, I hope you play the full version to see his behavior.